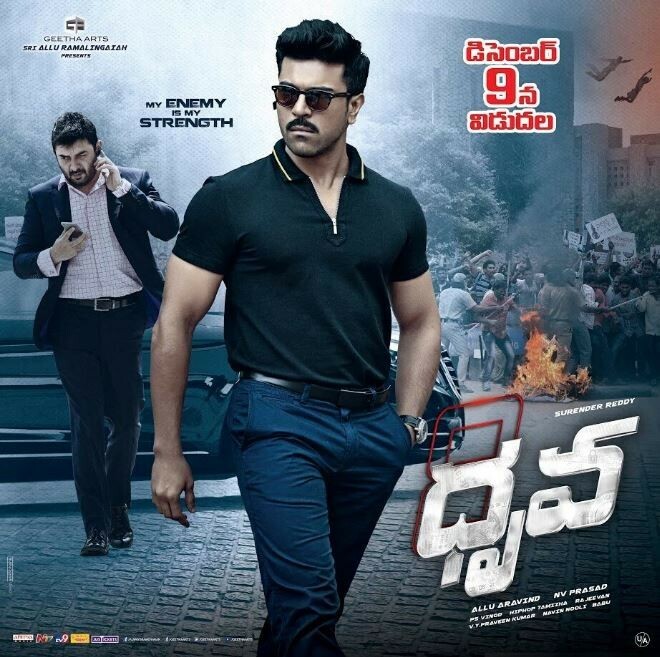 Dhruva was directed by Surender Reddy and produced by Allu Aravind and NV Prasad. It is an official remake of Tamil film Thani Oruvan. The film was released worldwide on 9 December 2016. Chirutha was directed by Puri Jagannadh and produced by C. Ashwini Dutt. 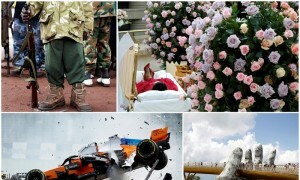 The film also dubbed into Tamil as Siruthai Puli. Chirutha released worldwide on 28 September 2007. Magadheera was directed by S. S. Rajamouli and produced by Allu Aravind and BVSN Prasad. The movie also grossed 1.5 billion worldwide and remained the highest-grossing Telugu film of all time for five years. Racha was directed by Sampath Nandi and produced by RB Choudary, NV Prasad and Paras Jain. The film was released worldwide on 5 April 2012. Govindudu Andarivadele was directed by Krishna Vamsi and produced by Bandla Ganesh. The film was released worldwide on 1 October 2014.